Moe Howard (born Moses Harry Horwitz; June 19, 1897–May 4, 1975) was the leader of the Three Stooges, the pioneering slapstick comedy group that became one of the genre's most successful and durable acts. Howard was the only member to be part of all incarnations of the team. Howard was born in the Bensonhurst neighborhood of the Brooklyn borough of New York City. His family was of Lithuanian Jewish descent. Moe had four brothers, two of whom (Samuel and Jerome) later became known as Shemp and Curly in the Three Stooges. Howard developed his trademark "bowl cut" hairstyle as a child. His mother often refused to cut his hair and let it grow to shoulder length. The long hair resulted in intense teasing at school. Eventually, Howard secretly cut his own hair in a shed in the backyard, creating his distinctive trademark style. Howard's fascination with movies began in the first decade of the twentieth century, when the movie industry itself was very young. Howard started to play hooky from school to watch films. He ran errands for Vitagraph Studios in Brooklyn and later secured bit parts, but most of his early work disappeared in a fire in 1910. After only two months in high school, Howard left to pursue a career in entertainment. In 1909, Howard first met Ted Healy, who was instrumental in the development of his career. They performed together in 1912 as part of Annette Kellerman's diving "girls." Howard sang in public with his older brother Shemp until their father ended their act. Then, in 1914, Howard joined a minstrel show on a Mississippi riverboat for two summers. In 1921, he began performing in a vaudeville act with Ted Healy. Howard retired from stage performances in 1925 after marrying Helen Schonberger, opting to pursue a career in real estate to support his family. In December 1928, Shemp and Ted Healy successfully convinced Howard to come out of retirement to join their successful touring act. In 1929, Larry Fine joined the act, and by 1930 the group performed as Ted Healy and His Racketeers, later changing the name to Ted Healy and His Three Stooges. Despite various contractual and personal disputes with Ted Healy in the early 1930s, Moe and Larry stuck with the act. In 1933, Shemp left to pursue his own solo career in movies. After Shemp's departure, younger brother Jerome was so eager to join the act that he shaved off his hair and mustache and rushed onto the stage during a Ted Healy performance. He was hired, given the name "Curly," and the classic Three Stooges lineup of Moe, Larry, and Curly debuted onstage in 1932. In 1933, MGM signed them to a film contract. In 1934, the Three Stooges separated from Ted Healy, in part due to Healy's unpredictable behavior fueled by alcohol, and signed a contract with Columbia Pictures where they would film 190 shorts between 1934 and 1957. The trio never earned a raise from their $60,000 salary split three ways into $20,000 each, but the studio allowed them thirteen weeks a year for lucrative public appearances. Despite his bullying on-screen persona, Moe was personally protective of his fellow Stooges and their onscreen act. Their 1934 short Men in Black earned an Academy Award nomination for Best Comedy Short Subject. Another 1934 release Three Little Pigskins featured 23-year-old Lucille Ball. Several of the Three Stooges shorts produced in the 1940s were deliberately anti-Nazi in support of the World War II effort. Moe imitated Hitler in three of them: You Natzy Spy, I'll Never Heil Again, and They Stooge to Conga. In 1946, Curly suffered a stroke, and Shemp rejoined the Three Stooges as his replacement. Curly died in 1952. In 1955, Shemp died of a heart attack, and Moe and Larry hired Joe Besser as his replacement. In the late 1950s, Columbia sold the library of Three Stooges shorts to Screen Gems, and the trio became stars in a new medium. With the old shorts gaining a new, younger audience in syndication, the Three Stooges began appearing in feature-length films. Moe hired Joe DeRita, known as "Curly Joe," to replace Joe Besser. The new trio starred in six movies from 1959 through 1965. They had a cameo in the star-studded big budget hit It's a Mad, Mad, Mad, Mad World in 1963 and appeared with Dean Martin and Frank Sinatra in 4 for Texas the same year. A cartoon series The New 3 Stooges ran on TV from 1965 to 1966. The trio appeared on a wide range of TV talk shows and variety shows through the rest of the 1960s. The Three Stooges began work on a new project Kook's Tour intended as a TV series. However, in early 1970, before filming was completed, Larry suffered a debilitating stroke. 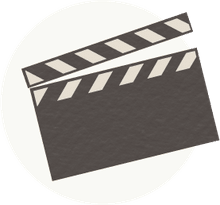 The usable footage from the project was finally released in 1975. 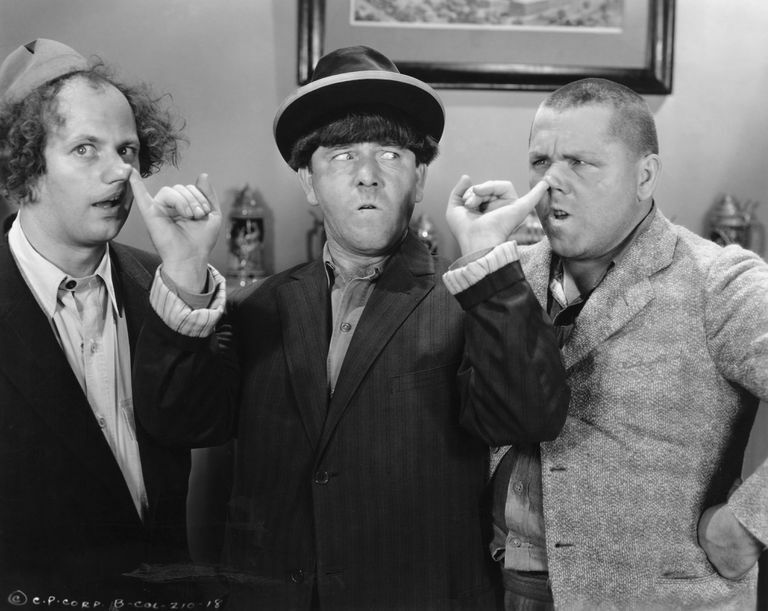 Moe and Curly Joe hired Emil Sitka, a frequent supporting actor in Three Stooges films, to replace Larry, but the final lineup didn't create any films. Moe Howard's wife Helen Schonberger was a cousin of legendary magician Harry Houdini. They had two children, Joan Howard and Paul Howard. Moe was a heavy smoker throughout his adult life, and he died of lung cancer on May 4, 1975. His wife Helen died of a heart attack the same year in October. Howard earned a posthumous star on the Hollywood Walk of Fame as part of the Three Stooges in 1983. Howard's autobiography was left uncompleted when he died. His daughter Joan completed the book, which was released as Moe Howard and the Three Stooges in 1977. The Three Stooges pioneered the genre of slapstick comedy. Their popularity outlasted the careers of other legendary slapstick comedians like Buster Keaton, Laurel and Hardy, and the Keystone Cops. A made-for-TV biography The Three Stooges appeared in 2000. A big-budget movie also called The Three Stooges, based on the trio's classic film shorts, reached theaters in 2012. The updated film placed their work in a modern context. Howard, Moe. Moe Howard and the Three Stooges. Citadel Press, 1977.